Val di Fiemme is starting its season on 25th November, with a great snow base, as it has received 15 cm of new snow, totalling 48 cm in the mountains and 20 cm in the valley. December is marked with its Christmas market – specially the one at Cavalese, ‘the Cavalese Magnifiscent Christmas Market’, located at the Palazzo dellla Magnifica Communità, offering wood, iron and ceramic crafts, local produced syrups, juices, dried fruit, creams and ointments, local speck and salami, local beer, sweets and chocolates and all traditional food and drink, from hot chocolate, to mulled wine, waffles to orzo soup. The market is opened all weekends from 19th December till 6th January. Val di Fiemme is well catered for families, with its 110 km of ski slopes, divided in between 5 ski areas: Alpe Cermis, Bellamonte-Alpe Lusia, Ski Center Latemar, Passo Rolle and Lavazé-Oclini ski areas. There are four kindergarden centres. There is the Reign of Cermislandia at Alpe Cermis in Cavalese, the Bip Club in Pampeago, the Kinderheim Gardoné in Predazzo and The Gnomes’ Den in Bellamonte. To play and laugh with them there are also likeable and funny mascots: Skiri, Bip and Fondolo. Kids can access also 5 sledding slopes, 3 snowboard parks and 6 amusement parks for sledding, bobsledding, and tubing. There’s even a toboggan run, the Gardoné Alpine Coaster, that slides through snowy woods among curves, loops, and jumps. During the Magic Weeks, kids up to 12 years old have free lodging, lift tickets, ski/snowboard rentals and ski/snowboard lessons. These weeks are from 28th Jan till 4th Feb and from 3rd Feb till 10th Feb.
Breathtaking downhills overlooking the Dolomites, UNESCO Natural World Heritage Site. All must-tries. The Fiemme-Obereggen ski area offer 110 km of pistes, distributed throughout 5 ski areas, of every difficulty. Don’t be fooled, there here are also some truly irresistible red and black runs. 7 spectacular slopes that provide an unforgettable spin around the Dolomites include: the Torre di Pisa, Agnello, Pala di Santa e Oberholz slopes at the Latemar Ski Center, the Olimpia slope at Alpe Cermis, the Lastè Bellamonte-Alpe Lusia slope and the Paradise run at Passo Rolle. These attractive slopes are full of exciting updates, including refuges, slopes and latest generation of ski lifts. On the slopes of Predazzo at the Ski Center Latemar, the Torre di Pisa is a big hit, with its black trail whose name comes from its homonym Dolomitic spire. The descent goes up with the Gardoné-Passo Feudo chairlift for a mile with an elevation of 459 meters (maximum gradient: 59%, slope min: 10%, maximum width: 60 meters, minimum width: 20 meters). NEW: At the recently rennovated Passo Feudo Refuge, there is a new entrance providing access to a panoramic room made of glass, stone and wood. Here you can admire the spectacular panorama of Antelao, Pelmo, a small part of the Civetta, the Pale of San Martino, the Lagorai, the Adamello Dolomites, and the Brenta mountain chain. The restaurant is no longer self-service, focusing more on quality dining, with dishes such as ravioli stuffed with venison on a bed of cranberries, Pasta Felicetti farro linguini with porcini and speck, pork ribs with roasted potatoes and a strudel symphony. The slopes of Predazzo are also well known for the Five Nations slope which takes its name from the famous trophy race of Gross and Thoeni. At Pampeago, in the heart of the Latemar ski resort, the Queen of the slopes is the Agnello, 2,600 meters long, with a vertical drop of 420 meters, that includes an epic drop off known as “the Wall”: 350 meters in altitude from the top. Agnello is also home to important ski competitions. The entire slope, and its variants, have been “targeted” by artists invited by the RespirArt Exhibition to leave one of their masterpieces every year either on the side of the slopes or visible from the Agnello chairlift. 13 different installations invite you on a one-of-a-kind photographic ski safari. The Agnello slope is the only slope in the world that cuts through an art park. NEW: Starting from the winter 2017-18 season you can return to the Pampeago parking much easier. A 350 m long artifically covered trail will start from the famous Canalone Agnello and descend towards the parking area with exits corresponding to each parking lot. The new art installations along the Agnello track are: “Simulacro” (Simulacrum) by Federico Seppi (large drops sliding between hazel branches in front of Rifugio Lamb), “Conversazioni Virtuali” (Virtual Conversations) by Piergiorgio Doliana (swinging chairs under the Agnello chair lifts) and “Acuto” (Acute) by Cosimo Allera (a radiant circle of corten steel shortly before Baita Caserina). At the Ski Center Latemar there’s the widely popular black Pala di Santa run, a “must” of the circuit that takes you to new heights. You ascend on the four-seater chair lift up to 2500 m. above sea level to an incredibly panoramic plateau overlooking the Latemar mountain chain. The first seconds of the descent are very calm, but a few meters further, and you find out right away that this is the blackest of black in the ski area and you have to dive down a 58% slope. A few curves below and you’re at a fork: whether you choose the left or right (taking you closer to the lifts), the fun is sure to continue. At the end of the slope you’ll come across the track that goes down to from Obereggen takes you back to Fiemme. Oberholz, is the true skier’s slope. It may seem obvious, but to go down the historic slopes at Obereggen on the Ski Center Latemar circuit it’s necessary to have technique, physical strength and agility. This slope offers breathtaking excitement as well as unthinkable “pitfalls”. The panoramic initial wall, as soon as you’ve gotten off of its homonymous chairlift, in the shadow of the architectural gem that is the Oberholz refuge, is what made the European Slalom cup famous: 32 competitions, the last in 2015, with epic duels from top competitors like, from Alberto Tomba to Giuliano Razzoli, Olympic gold medalist. After the first wall you’ve got three possibilities: going down another steep slope to the Laner hut; going to the right on a natural slope (continuing on the same initial one); or even earlier, going through the so-called forest path. Once at Laner you can catch your breath and get off on the second section of the Oberholz, taking the gentle canyon towards Pampeago. Anyone, on the other hand, who goes down to Obereggen, will enjoy a long and restful false flat before reaching a new fork. Instead, on the left the Ochsenweide slope opens up, continuing the descent that’s a whirlwind of excitement. Make sure you don’t lose the speed you gained here from the first part of Oberholz, as you could risk of slowing down and having to start all over again. At full speed, with a keen eye on who is coming from the baby track, you make it to the arrival area. NEW: Already starting last season, the Obereggen’s Oberholz hut made itself stand-out, with its museum-like design, its modern Telemix Laner at Oberegen with heated seats (the first Fiemme-Obereggen ‘chondola’ lift with chairs and cabins on the same line), and its new 750m Absam toboggan run in the Laner resort, which adds to the already 2.5 km toboggan run at Obereggen. The cult slope at Alpe Cermis, in fact across entire Alpine arch, is the Olimpia. The longest descent of the Dolomites, it offers 7.5 km of thrills, from 2,250 meters up at the Paion del Cermis to 850 m. above sea level to the Alpe Cermis cable car station at the bottom of the valley. The Olimpia track, with its 1,400 meter altitude, is divided into three parts: Olimpia 1, Olimpia 2 and Olimpia 3. The track has a number of artificial snow cannons and, thanks to its good northern exposure, ski conditions are always optimal even after the end of the season. At the top on the Paion del Cermis, you can enjoy one of the most breathtaking views of the Alps, with a glimpse of the Brenta Dolomites, the eastern Dolomites, and the Austrian Alps. The summit is reached with two sections of cable cars and a chairlift. Olimpia 1 is a black slope that starts off immediately with a steep wall, followed by a flat stretch to catch your breath. The slope then reaches Campiol del Pel, at 1,915 m. above sea level. (from which you can take the Costabella automatic four-seater chairlift directly to the Paion del Cermis). There you embark on the most demanding trajectory, Olimpia 2: 3 km of breathtaking curves and walls that wind through thick fir forest to reach Doss dei Laresi at 1,280 meters above sea level. From here starts the Olimpia 3, a medium difficulty slope famous for its transformation into an impressive uphill cross country slope during the Tour de Ski. The Olympia 3 is illuminated for night skiing every Wednesday and Friday, from 19.30 to 22.30. NEW: Those who book a dinner at the Baita Grana Restaurant, to enjoy some skiing under the stars, will find a completely rennovated environment both inside and outside. The Baita Tonda lounge bar, Baita Grana Restaurant and the Alpe Cermis cable car station now belong to a single structure that harmonizes with the landscape, between stained glass windows and larch strips. The Lastè red slope, in the Bellamonte-Alpe Lusia ski area, leads us up 2,340 m. above sea level. There you can admire the sunset thanks to the extraordinary chromatic show of the enrosadira on the Pale of San Martino and the panorama on the Lagorai, Latemar and Catinaccio mountain chains. This very scenic track is reached with the two sections of the new silent Bellamonte 3.0 Cable Car and the Campo-Lastè chairlift. It is a varied, very sunny and fun track, with an average slope of 17%. Initially it has a low slope, with some fun moguls, then begins the nice, long downhill slope that’s wide and sunny. The Lastè run, 2.8 km long, with a height of 485 meters, leads to Rifugio Lusia where, in addition to having lunch, you can stay overnight and wake up to the enchantment of the Dolomites. Just below you will also find the scenic Baita Ciamp de le Strie, with its fabulous fairy-tale settings devoted to the legend of the Laurino King. NEW: Starting this season, the new Bellamonte 3.0 cable car closes in on the boundaries of the Paneveggio Natural Park, offering a privileged view of the Pale San Martino. The silent cable car, replacing two chair lifts, made it possible to remove 13 pylons from the ski slopes. The second stop also leads to the entrance of the new Fraina toboggan run (2 km). During the winter 2017-18 the capacity of the Bellamonte 3.0 cable car will increase from 2,200 to 2,600 people per hour. In the Passo Rolle ski area, the “cult” track is the black Paradise that caresses the Cimon della Pala, offering spectacular views, particularly at sunset. The Paradiso track is nearly 1500 meters long, part of a 2,195 m above sea level. and reaches 1,877 m. above sea level. Thanks to the good elevation and favorable exposure, the snow on Paradiso remains compact even at the end of the season. The track starts with a steep wall curving slightly to the left, where there is a second long stretch and pendant. Then, the track runs for a few meters until you have a last beautiful downhill wall that goes down to the Paradiso and Ferrari chairlifts. The Paradise trail lends its name perfectly to its earned name of “UNESCO Paradise”. In fact, you can ski right around the world’s most photographed Dolomitic icon, in the middle of “World Natural Heritage” territory. Val di Fiemme – Pampeago – Rifugio Monte Agnello – Fototeca Trentino Sviluppo S.p.A. Photo by Federica Modica. To plan your perfect holiday to Val di Fiemme check out our Must-Read Guide to Fiemme. 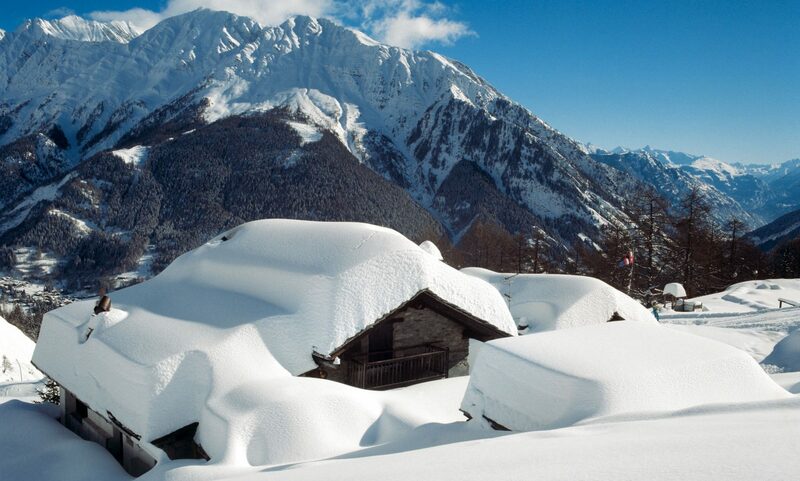 Next PostNext Madonna di Campiglio is opening early, on November 18th due to the recent snowfalls.